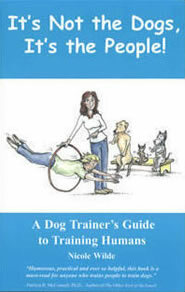 As a pet dog trainer, you have learned skills and mastered techniques that enable you to train dogs successfully. The good news is that you can do the same with your human clients! Discover powerful, practical techniques you can apply immediately. Learn to handle difficult personality types, from Argumentative Al to Bland Betty, from Look-at-Me Leah to Know-It-All Ned. Become adept at managing situations like emotional blackmail, unrealistic expectations, TWI (Training While Intoxicated), tardiness, haggling and more. 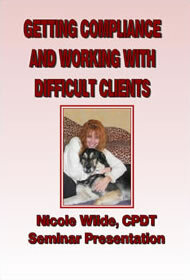 Includes basic human-training skills, family dynamics, working with kids, training hordes of wild humans, dealing with difficult personality types, sticky situations, personal safely, and more.